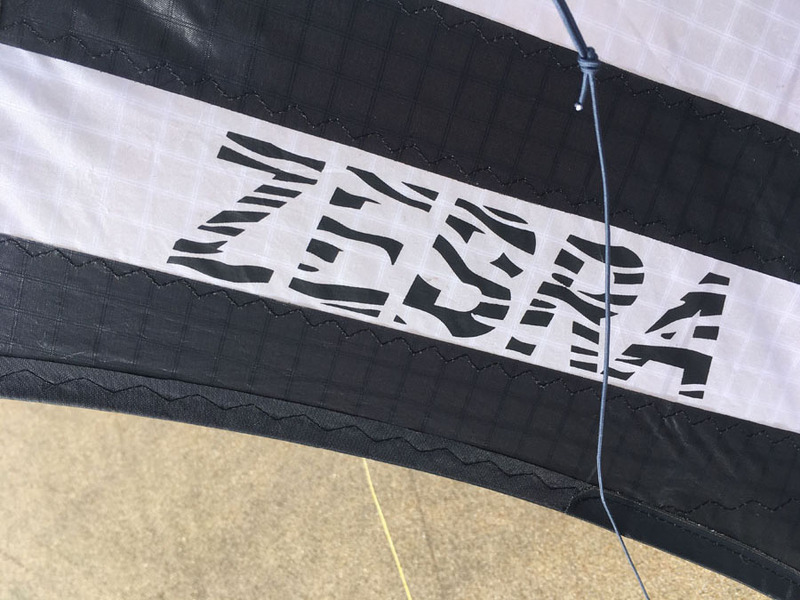 The Zebra was designed by German freestyle pilot Helge Gosau (Gosau Kites) for Invento HQ and is build in China (at least that’s what the label says). The first video’s of the Zebra triggered my interest. I also started to follow the discussion about the Zebra on the German kite forum. 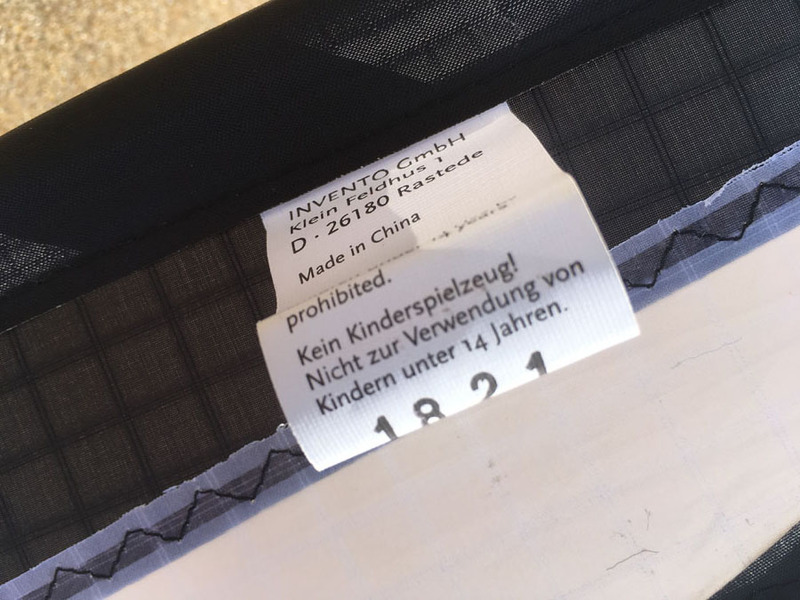 It turns out that the final production kite is slightly different compared to the production samples tested by the designer and a few other German pilots in SPO last year. HQ was willing to send us a demo (production-)kite and it arrived in Rotterdam a few days before the 2018 Den Helder Tricksparty weekend. A few of us tested the kite and we also shot a video. 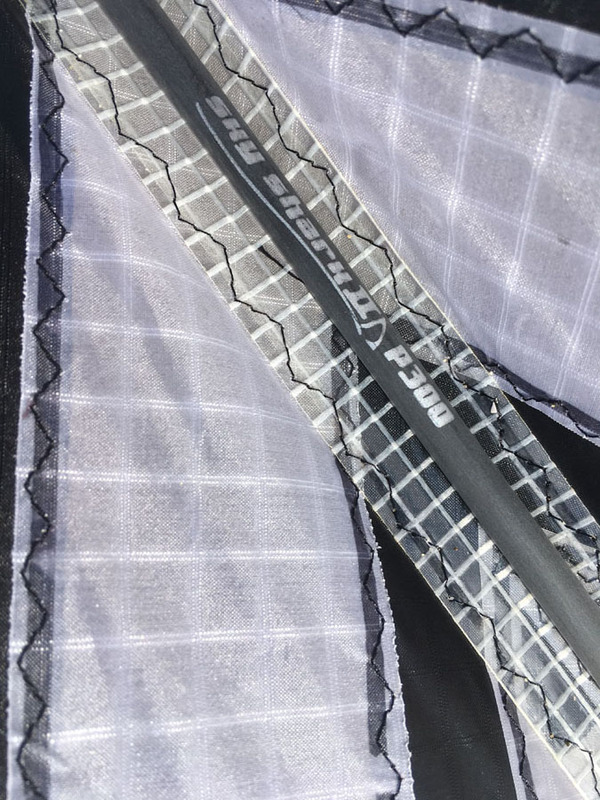 The Zebra comes with it’s leading edges broken down in a very durable tapered sleeve. 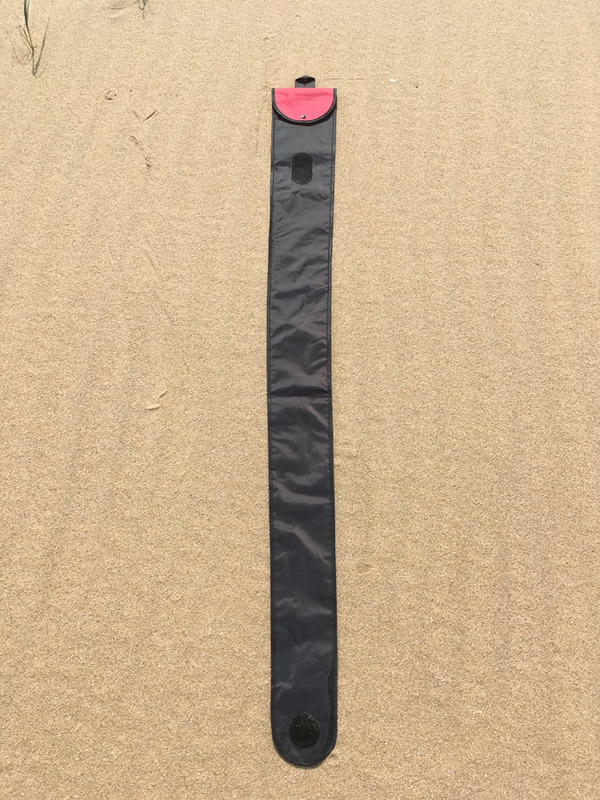 The sleeve is long enough to fit the kite with the leading edges assembled. 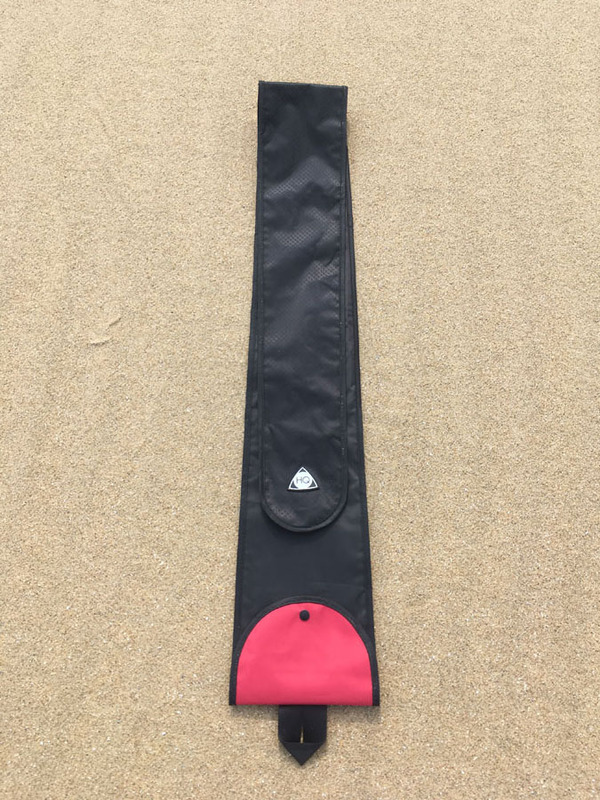 Very nice when traveling with only one kite but in my opinion a bit too heavy for use in a roll up type kite bag together with other kites. 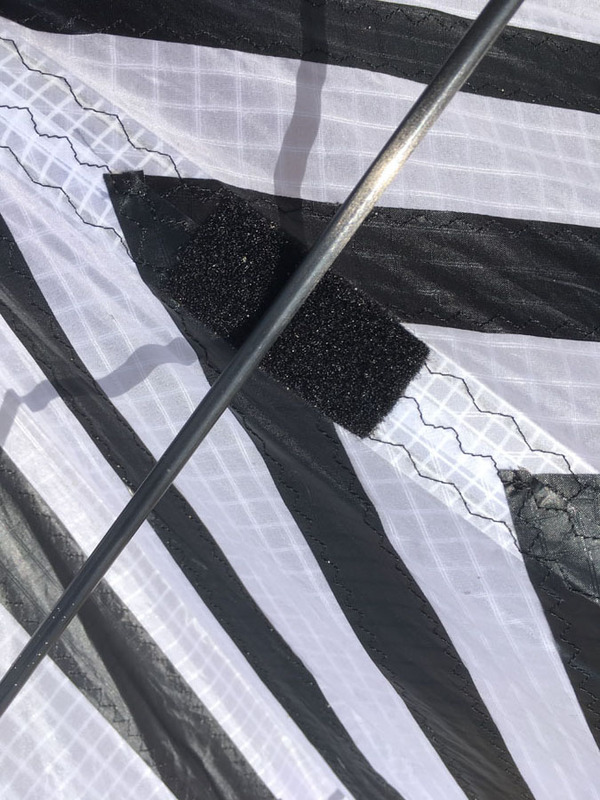 The sail of the Zebra consists of a whopping 52 black and white Icarex panels (26 per wing) which are glued with thin adhesive tape and stitched with 3 step zigzag. 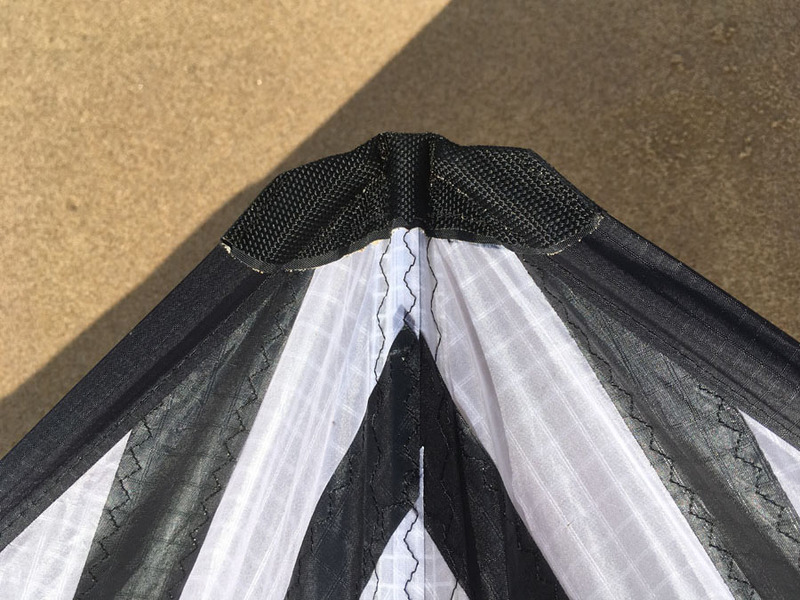 The sewing is nicely done, but the panels are not laid out completely perfect in some instances (at least in the kite I received, see close up pictures). 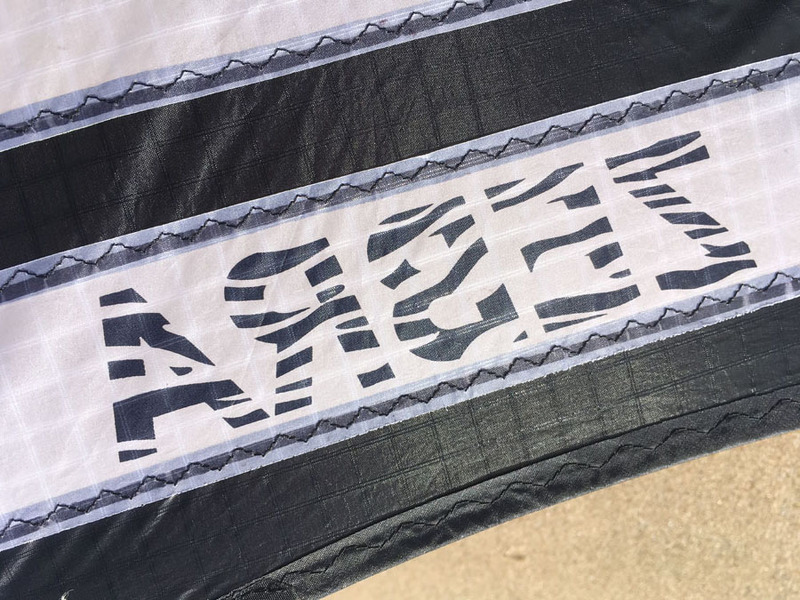 A Zebra logo is dye sublimated on one of the white panels. The seam along the spine is reinforced with mylar laminate and so is the sail in the trailing edge/stand-offs area. Spinnaker nylon was used for the leading edge tunnels and the cutouts are very neatly executed with round holes. The trailing edge consists also of Spinnaker with a piece of dacron at the stand-offs. The nose is reinforced with adhesive dacron and covered in a heavy duty cordura type webbing. Velcro was used for the upper spreader rub patch and the center cross and tail sections are covered in dacron. A white product and warnings label is stitched in between the leading edge tunnel and sail. 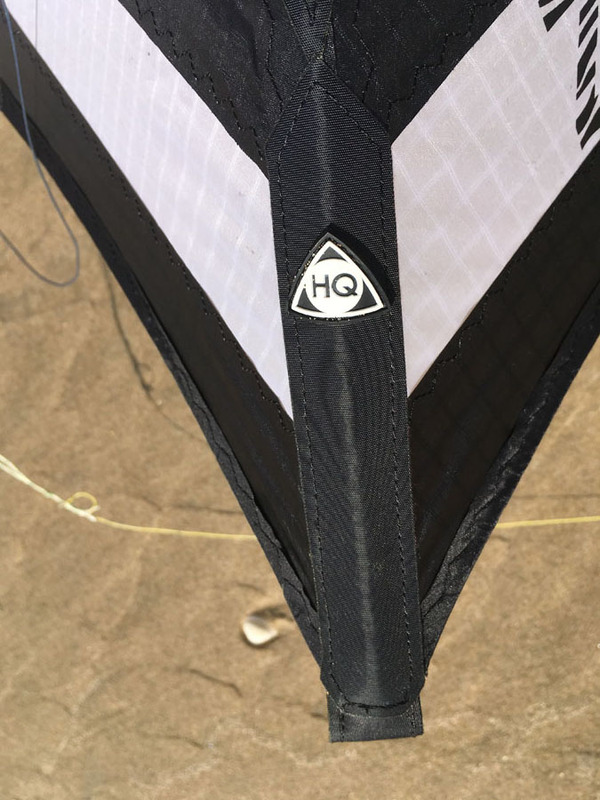 A black and white rubber HQ patch is situated on the tail dacron. I personally like the fabric logo patch used by HQ in the past better. 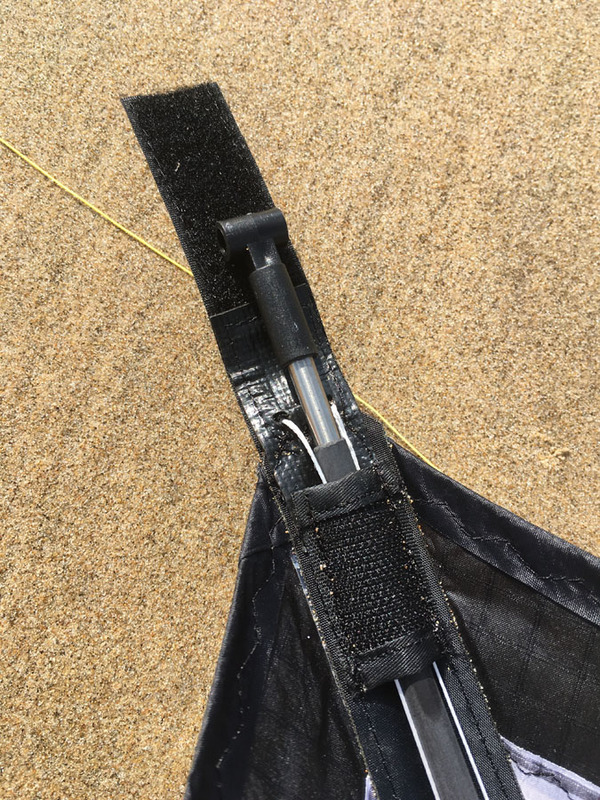 Bisonyl was used to reinforce the tail Velcro and the leech line runs trough 2 holes which makes for a very tidy solution. The leech line tension is dynamic via a piece of bungiecord that wraps around the center cross. All connectors used on the Zebra are from HQ (instead of APA used on the production samples) and I have to say they work quite good. C-clips were used to hold them all in place. I like that HQ has the measurements on the leading edge connectors (are you reading along APA?) The center cross looks like a chunkier copy of a R-Sky connector and is not made very precisely. It works though. I’m not a huge fan of the clip on yoyo stoppers/cable tie/c-clip solution. They can rotate around the rod. It does work but it looks a bit clumsy on a high end kite. A plastic fitting with a stainless steel rod is used as a tail weight and is inserted in the spine tube. The wingtips are tensioned with a piece of bridle line. 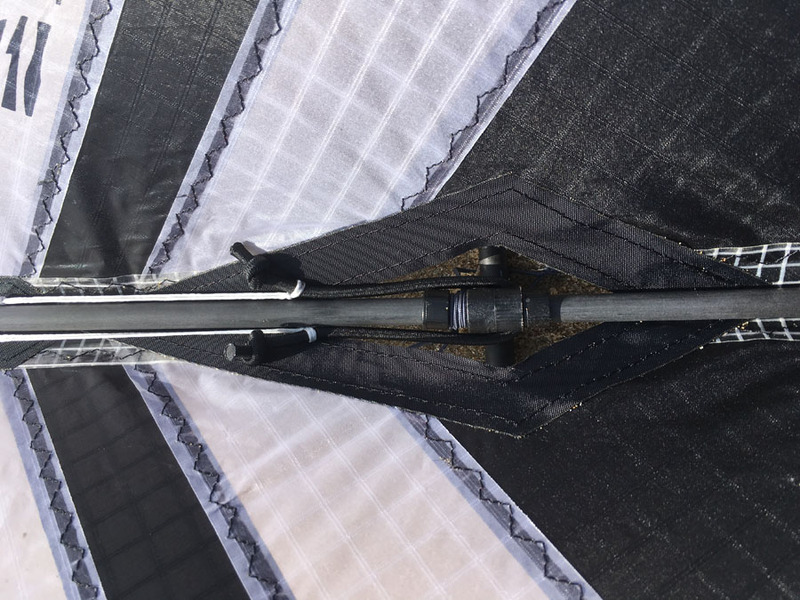 A knot locks into the slotted hole in the HQ nock. This makes folding the leading edges for transportation very easy. 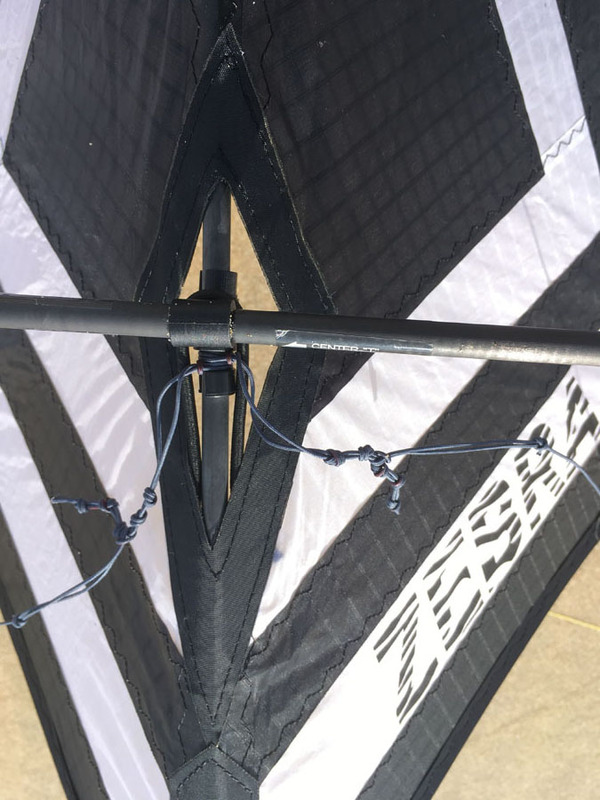 The Skyshark frame works really well in this kite. 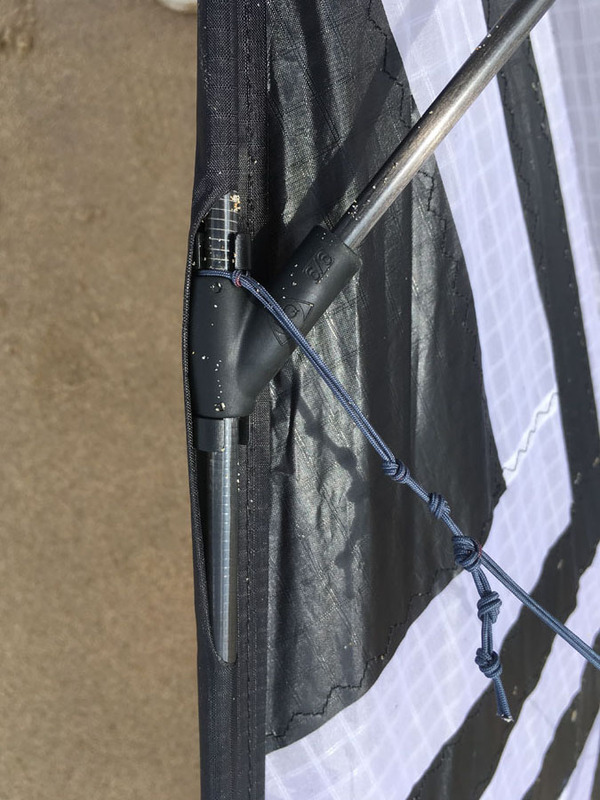 The 3pt leading edges hold their shape quite good in higher wind speeds (no stuttering) yet make the kite feel light and balanced in lower wind conditions. The Nitro lower spreaders (which are not mentioned in the official specs?!) 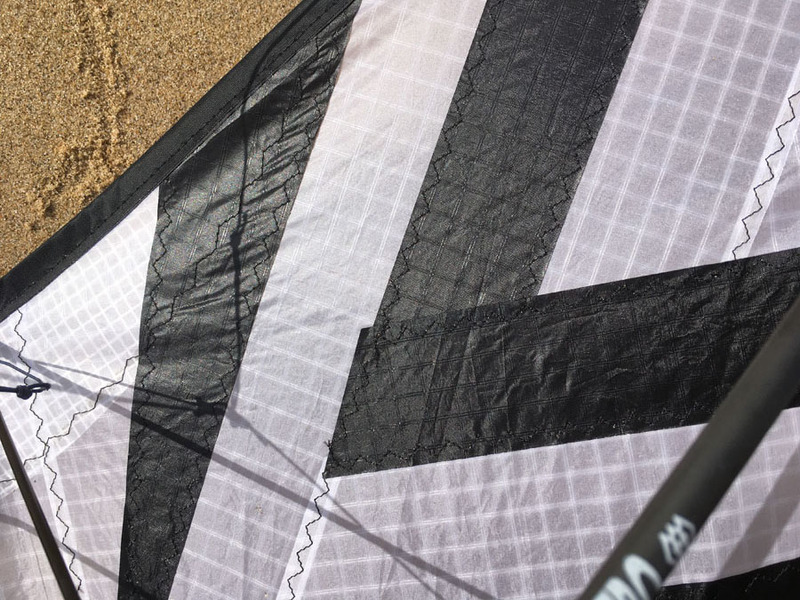 and the p300 spine give the kite a solid feel in tricks and in flight. The 3-point bridle has pigtails on every leg so it’s highly adjustable. No leaders are fitted though. You’ll need them so attach your own. 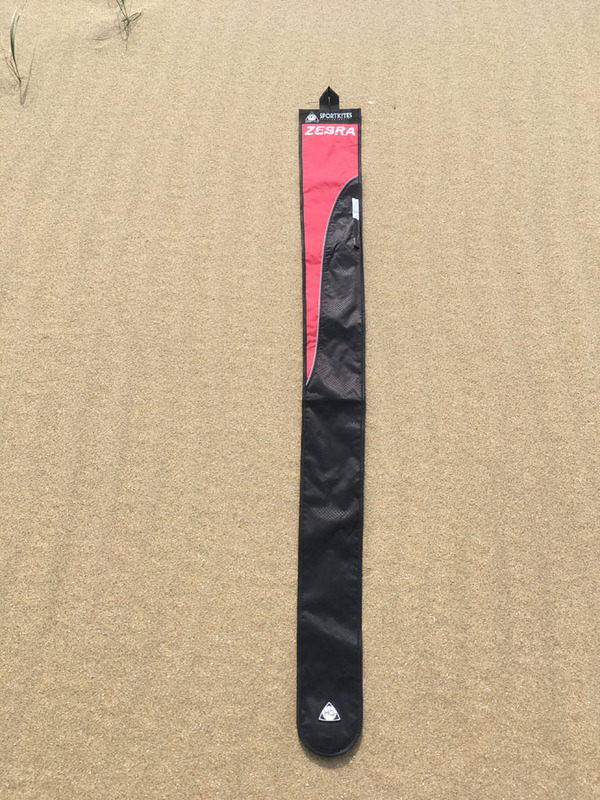 The kite was tested both at the top and the bottom of it’s recommended wind range. In heavier winds the Zebra feels solid and has a comfortable feedback without pulling a lot but it does get a little fast. The first thing we noticed was the kite feels very intuitive. Something I haven’t felt in HQ kite for a while. Flying straight lines and corners went better when we loosened the leech line and adjusted the bridle one knot back. 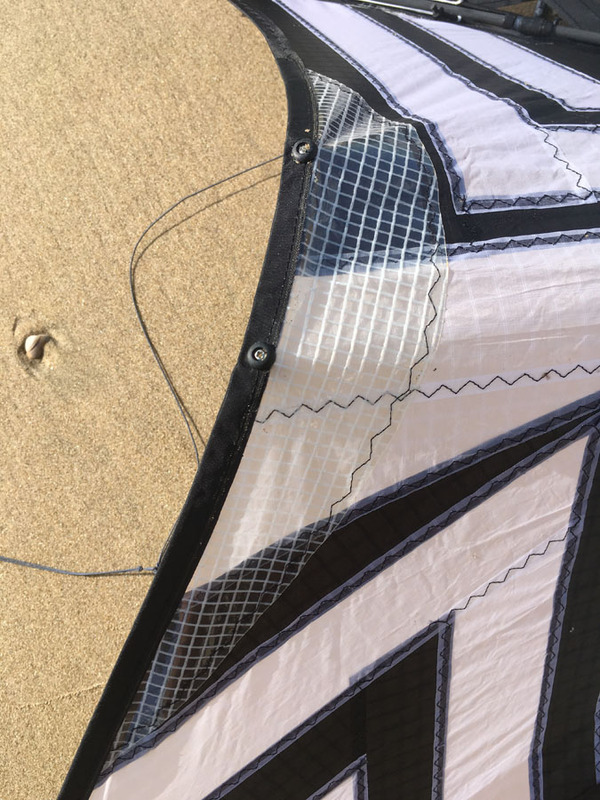 At lower wind speeds the kite starts easily but lacks a distinctive feedback. The Zebra’s aspect ratio is a bit higher compared to other modern kites in this class. The stretched shape with the longer wingtips and the balance of the frame makes for a kite that likes pitch based tricks! Yoyo’s and Jacobs Ladder variations are a blast. Multiple wraps are within reach and the frame sure can take it. The Fade is steady and Backspins can be executed flat with enough slack. The Backflip is deep yet recoverable and Lazies and Multilazies feel nice and controllable. Rolling Cascades need a bit of space and good timing but look great. Flatspins can be a bit tricky (no pun intended) due to the longer wings but are certainly manageable with proper slack tending. The Zebra isn’t as Tazmachine happy compared to most modern kites but when the timing is right Taz’s can be done very nicely. We didn’t notice a bad dead spot in the flare. FlicFlacs and Duplexes can be done with ease. Half Axels and Cascades can be done both aggressive/fast and subtle/slow. Cometes look and feel really good and the kite doesn’t loose too much altitude during the rotations. The Frontflip is okay and Yofades are certainly doable. In the few sessions i flew the Zebra I couldn’t get good Crazy Copters. That might just be me and my inputs since I’m not that good at this trick anyway. I personally had some problems with wing wraps on the ground. In a lot of cases I couldn’t get the kite out of it without a walk of shame. I’m not sure what causes this. 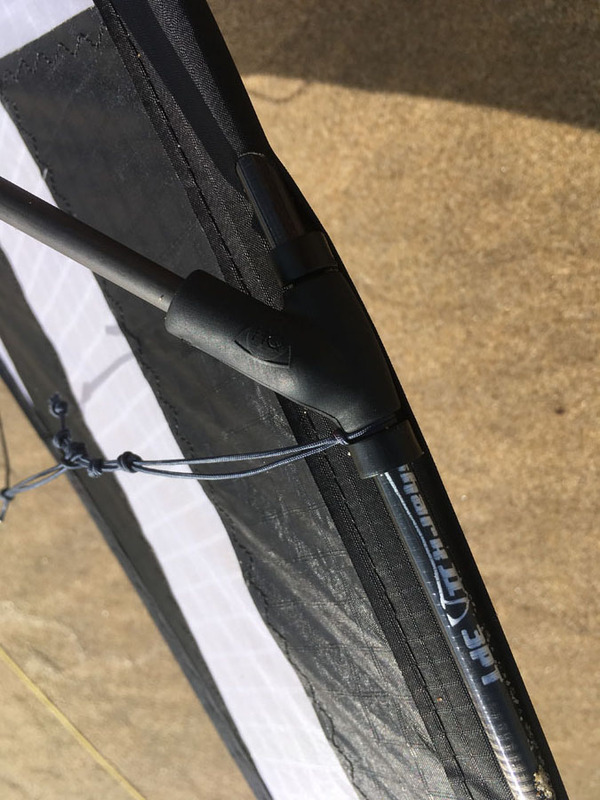 It might be the geometry of the kite (long wingtips) and the used connectors (yoyo stoppers for instance). 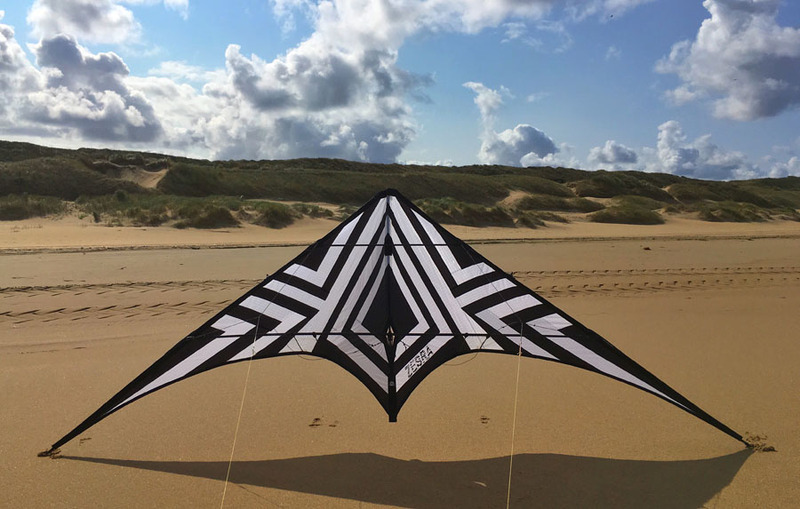 The Zebra is a worthy freestyle kite and feels high end while flying and tricking. When it comes to pricing we have to compare to other manufacturers who sell kites in this price range. 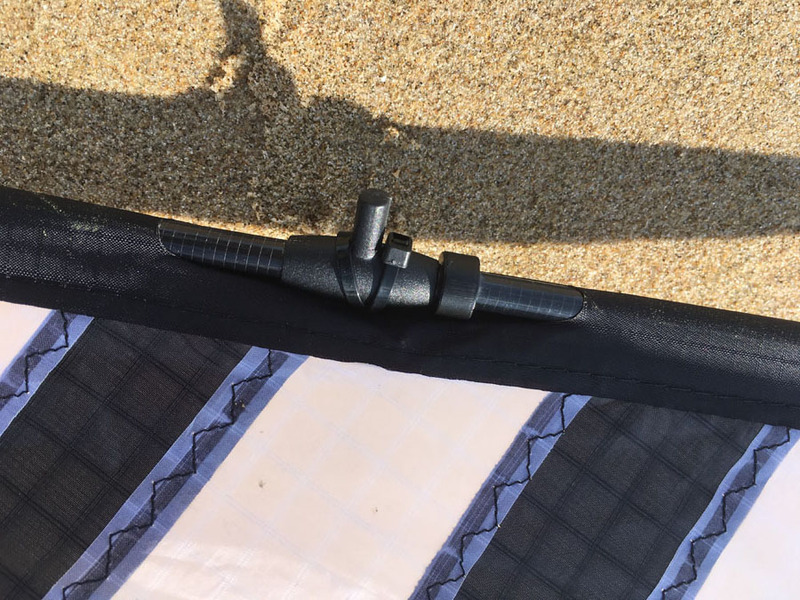 There are some really nice details and the build quality is very good in most places but the mistakes in panel layout and some clumsy connector solutions give it the impression it is just not 100% up there with the main (boutique) kite makers. The panel layout may not be everyone’s cup of tea but it is a striking design and stands out in the sky. Competition ready kite? Yes. Even more so if more versions were available. (UL/VTD). The Zebra sure is a lot of fun to fly and a nice piece of equipment for both intermediate and advanced freestyle pilots.